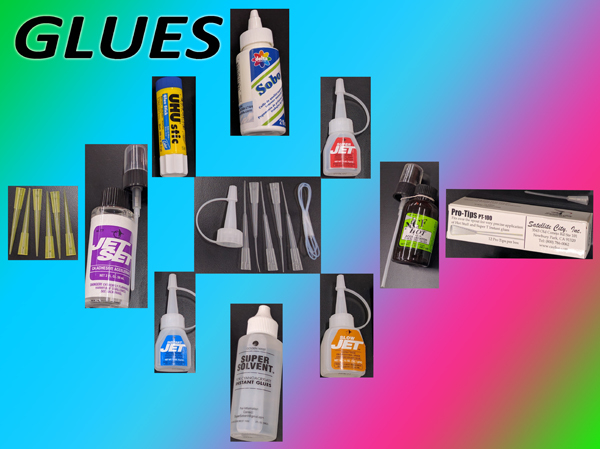 The fastest, thinnest cyanoacrylate (CA) glue; sets in 10-20 seconds, viscosity similar to water allows it to wick into porous material to provide extra reinforcement in the substrate material. If you fly your planes we suggest you buy the package of 2. Put 1 bottle on your workbench and take 1 bottle into the field so you can make quick repairs. Each bottle 1/4 oz. Medium viscosity with exceptional strength and gap filling capabilities. Sets in 15-45 seconds. Each bottle 1/4 oz. Thick viscosity provides maximum gap filling and strength for high stress areas and laminations. 1-2 minute set time allows for repositioning. 1/2 oz. bottle. Dave's glue of choice for applying tissue paper. Goes on blue, dries clear. .29 oz. 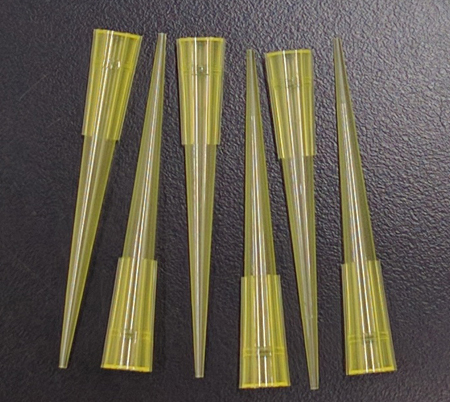 Dave's favorite for applying canopies and other vacuum-molded parts to your model; dries clear and stays flexible. 2 oz. bottle. Accelerator for use with CA glues. Position and glue pieces then spray with Jet SET for an instant bond. Non-aerosol pump spray. This product cannot be shipped internationally or express. 2 oz. bottle. SP-100 are Extra spray pumps for our accelerator. Pro TIPS slip inside the spout for precise application of CA glues. To install, remove the spout from the bottle and cut down the tip so that the opening is large enough to slip the Pro TIP through from the inside. Feed the Pro TIP through from the inside so that the cone-shaped part fits snugly into the base of the spout and seals it off. A Pro TIP has the same diameter from its base to the tip, so that if it clogs and you have to cut it down, it will still apply the glue just as precisely. Each box comes with 12 Pro TIPS. These TIPS are fine bore, clog resistant nozzle extensions for precise CA application. Tips are cut on an angle and release 1 drop at a time. 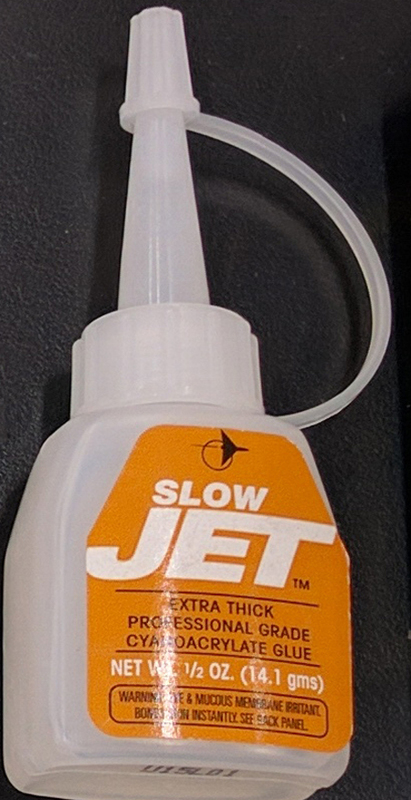 Jet TIPS fit INSTANT, SUPER, or SLOW glues. Box of 6. 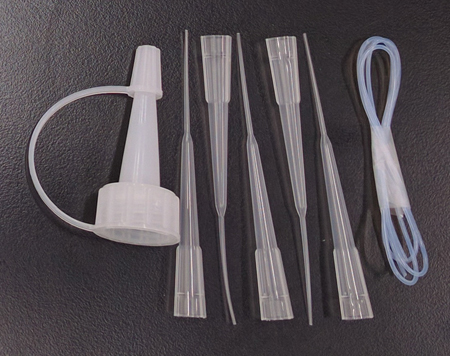 The Jet PAK includes 12" of capillary tubing, 5 TIPS, and 1 spare cap which fits all sizes of Jet CA glues. Super Solvent is a debonder and cleaner for any CA glue. Super Solvent does not contain acetone. It works faster and is more pleasant to use than acetone-based debonders. This product cannot be shipped internationally or express. 2 oz. bottle.